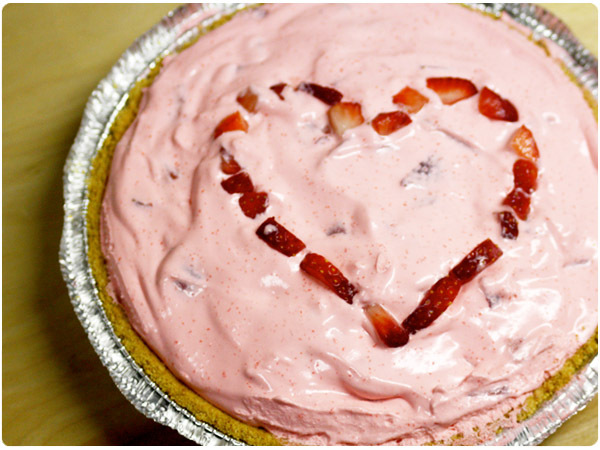 Since it’s Valentine’s Day, I couldn’t resist sharing a sweet red & pink dessert. 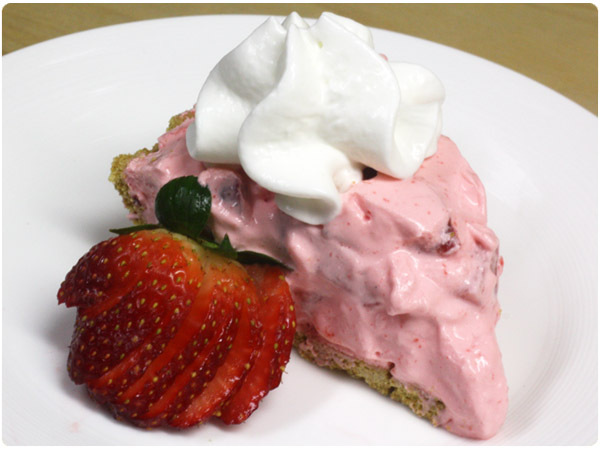 This Berry Mousse Pie is probably one of the easiest icebox pies you’ll ever make. It’s perfect for anyone who wants to spend more time cuddling than cooking today and a foolproof option for the beginning chef looking to impress their sweetheart. Also, the mousse (or “Pink Fluff” as my sisters and I called it as kids) works equally well without the pie crust as a sweet side dish. In a large bowl, whisk jello mix into boiling water until completely dissolved. Add ice cubes and stir for 2-3 minutes until jello thickens. Remove ice cubes and whisk in thawed Cool Whip. Dice strawberries into bite-sized chunks and gently fold into mousse mixture. Pour mousse mixture into graham cracker crust. Refridgerate for 2-3 hours until mousse is solid, yet fluffy. Looks delicious and beautiful 🙂 I’ve actually been craving lemon lately so I’ve been wanting to make a similar pie but with lemon instead. Think it’s about time I get on it!